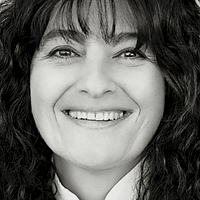 Ruth Reichl is host of the PBS-TV show Gourmet’s Adventures with Ruth and author of the memoirs Not Becoming My Mother, Tender at the Bone, Comfort Me with Apples, and Garlic and Sapphires. The former Editor-in-Chief of Gourmet magazine, a chef and former restaurant owner, she has served as restaurant critic for The New York Times and the Los Angeles Times, editor of The Modern Library Food Series, and contributor to numerous books. Reichl has been honored with four James Beard Awards.